If old Hollywood, 90s topical humor, and general zaniness are your cup of tea, then you're likely already acquainted with the topic of this week's exhibit. 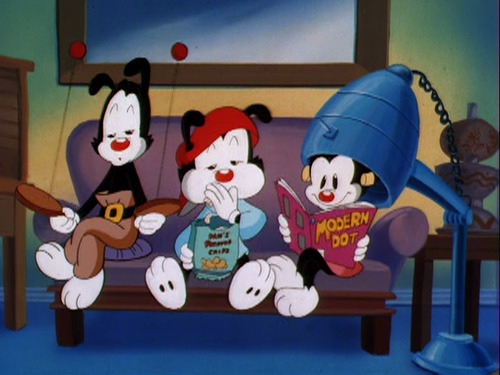 Animaniacs introduced a new generation to the wacky, highbrow-meets-lowbrow aesthetic of the Looney Tunes, and it's now available on Netflix. "Toon" in to learn which movie parodies zinged and which fell flat, who were the best and worst of the huge cast of characters, and what was the dirtiest joke those three kooky Warner siblings ever got past network censors. Can't get enough TV history? Sign up for a FREE TRIAL of Audible.com to access titles like Steven Spielberg: A Biography by Joseph McBride.